Scott Eberle has a Ph.D. in Math Education and currently serves as a missionary in Niger, working to spread the Gospel message through Christian education. Scott works to build up Christian leaders and educators in Niger who approach mathematics through a distinctly Christian perspective. You can follow Scott and his family at nigerministry.tumblr.com. Josh Wilkerson invited me to contribute something on the aesthetics of mathematics from a Christian perspective. I’d especially like to discuss how such a seemingly abstract idea has application in Christian education. Mathematics has been considered an aesthetic subject from antiquity. The Greeks considered mathematics to be the highest form of aesthetics because of its perfection. The Pythagoreans and Platonists considered mathematical concepts to have a real, mystical existence in some perfect realm. Throughout history, mathematicians and philosophers have continued to claim that mathematics is beautiful for a variety of reasons. For example, whereas the Greeks saw beauty in the ontology of mathematics, the French mathematician Henri Poincaré saw beauty in its epistemology. Because of the way we teach mathematics, many students believe there is always one hard-and-fast method for cranking out the answer to any mathematical problem. But as mathematicians know, true mathematical problems require a great deal of creative intuition to solve. Poincaré pointed out that mathematicians rely on aesthetic-based intuition to distinguish fruitful paths of mathematical inquiry from dead ends. He wrote, “It is this special aesthetic sensibility which plays the rôle of the delicate sieve” (1908/2000, p. 92). Today, nearly all mathematicians continue to recognize the aesthetic nature of mathematics (Burton, 1999). The British mathematician John Horton Conway went so far as to claim, “It’s a thing that non-mathematicians don’t realize. Mathematics is actually an aesthetic subject almost entirely” (Spencer, 2001, p. 165). The reason the general population doesn’t realize that mathematics is an aesthetic subject is probably due to the mechanical way in which we frequently teach mathematics. School exercises are often artificial, simplistic, and have only one right answer. There is nothing creative or aesthetic to see in the average math lesson. Conway’s claim that mathematics is almost entirely aesthetic is a bold one. But actually, modern mathematics can be seen to be an aesthetic subject from its foundations to its methods to its end results. This is especially true since mathematics’ divorce from physics in the 19th century as it became a purely abstract study, inspired by, but independent of, the natural world. Foundations: Mathematics rests on a foundation of axioms and definitions. But these are chosen, not deduced. Mathematicians choose definitions and axiomatic systems based on criteria of logic, relative completeness, consistency, mutual independence, simplicity, connectedness, and elegance. These criteria are partly aesthetic in nature. Methods: As Poincaré pointed out, mathematicians rely on a certain aesthetic sense to guide their explorations. Paths that seem particularly elegant often prove to be the most successful. In 1931 Gödel destroyed earlier hopes of purely mechanical methods of generating mathematical theorems and proofs, making the fundamental role of intuition even more necessary. Modern researchers are beginning to understand that intuition is not a fuzzy feeling, but rather a rigorous source of insight. Robert Root-Bernstein (2002) makes a powerful argument that all scientific thought occurs first as an aesthetic intuition, and is then confirmed by verbal logic. Therefore aesthetics guides our mathematical exploration and is the basis for our mathematical reasoning. But we often show only the final algorithmic logic to our students. Results: Mathematicians don’t often discuss aesthetics explicitly, but when they do, they usually point to theorems and proofs, which they insist should be elegant. The American mathematician Morris Kline observed that “Much research for new proofs of theorems already correctly established is undertaken simply because the existing proofs have no aesthetic appeal” (1964). Mathematicians especially appreciate results which are surprisingly simple or have significant connections or visual appeal. Such results are said to be beautiful. The Mandelbrot Set, for example, is beautiful partly because its definition is surprisingly simple and partly because it has great visual appeal. It is interesting to note that criteria such as significant connections indicate that beautiful results will be among the most useful and important. Criteria such as surprise suggest that beautiful results may be important for insight and understanding, and therefore also for education. So mathematics is seen to be aesthetic “almost entirely.” At this point, some would say the discussion is merely philosophical and has no real world implications. Indeed, most mathematicians give aesthetics little explicit thought unless questioned about it. It is perhaps for this reason that many educators have not picked up on the importance of aesthetics in mathematics. Throughout history, most mathematicians have been Platonist, at least in practice. We tend to think that mathematical ideas are discovered, rather than invented. 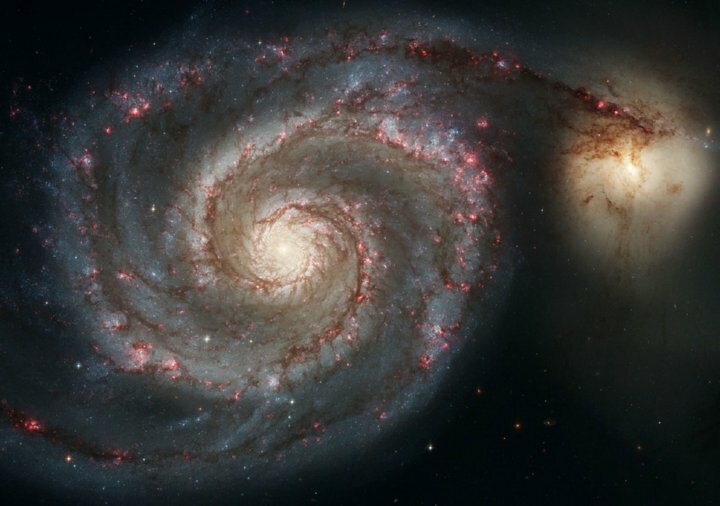 In more recent times, some have questioned this, claiming that mathematics is simply the brain’s way of understanding how the universe is structured, and mathematics could be very different for an extraterrestrial species. (See, for example, Lakoff & Núñez, 2000.) Others disagree, pointing out how mathematics inexplicably predicts new discoveries. Of course, all agree that certain things, such as notation, conventions, and choice of axioms, are man’s invention. But where do the beautiful results we admire come from? The Greeks cannot be said to have “invented” the Pythagorean Theorem. Most would agree they (and other cultures) “discovered” it. Most Christian theologians, from Augustine (354 – 430 AD) onwards, as well as Christian mathematicians, have agreed with a Platonist perspective, believing that mathematics is in the mind of God, and we discover these eternal truths. Mathematics cannot be part of Creation because it is not a physical part of nature—it is a collection of abstract ideas. One does not physically create abstract ideas, one conceives them. And God must have always known these ideas, so they have always been part of his thoughts. Mathematics preceded Creation and is untouched by the Fall. It is perfect and beautiful and contains awe-inspiring ideas, such as Cantorian infinity, which is part of God’s nature but not part of our physical universe. However, we ourselves are fallen, so our understanding and use of mathematics is imperfect. Some modern Christian thinkers have proposed other possibilities similar to those of Lakoff and Núñez, making mathematics a human activity, or only one of many possible systems of mathematics in the mind of God. Nevertheless, all Christians affirm that mathematics is not independent of God. Even if there are other possible systems of mathematics, the one we know is the one God chose for us as good, and it has always been known by God. It is not some arbitrary invention. I like to think that when I am studying mathematics, I am studying the very thoughts of God, that mathematics is part of God’s attributes. God did not “create” love; God is love (1 John 4:8). Likewise God did not “create” one and three; God is one Being in three Persons. God did not “create” infinity; God is infinite. And so on. is often called the most beautiful result in mathematics (Wells, 1990). Though aesthetics is part of the very foundation of mathematics, it is largely neglected in math classrooms. As mathematician Seymour Papert pointed out, “If mathematical aesthetics gets any attention in the schools, it is as an epiphenomenon, an icing on the mathematical cake, rather than as the driving force which makes mathematical thinking function” (1980, p. 192). However, an increasing number of researchers (including myself) have been noting important consequences of mathematical aesthetics for how we teach mathematics at all ages. The interested reader can turn to researchers such as Nathalie Sinclair to see how modern research has been discovering the importance of aesthetics in mathematics education. Aesthetics is a “way of knowing” mathematics prior to verbal reasoning and should be an important part of our mathematics classrooms. Indeed, Sinclair (2008) has found that good math teachers tend to use aesthetic cues in their teaching implicitly, though they may not realize it. For example, teachers who reveal a “secret weapon” or present a surprising fact or note simpler ways to express certain solutions are modeling a useful aesthetic to their students. In my own research (Eberle, 2014), I have found that even elementary school children come with their own aesthetic ideas and use them in valid mathematical ways when given the opportunity to do open-ended math problems. And this is true of all children, not just those that are gifted in mathematics. Children’s initial aesthetic ideas are far from those of mathematicians, but through experience they are refined. Educators from John Dewey to the present day have argued that aesthetics is important for all of education, and now we are discovering how this is true for mathematics. Just as with mathematicians, aesthetics guides students to generative paths of inquiry. When allowed to explore freely, children use their own aesthetics to find valid mathematical insights, though this may take time. Students need opportunities to pursue their own ideas and conjectures. Aesthetics helps students to evaluate their results. Often math is presented as black-and-white with only right and wrong answers. But if students are allowed to do more open-ended inquiry or project-based mathematics, they can use their growing sense of aesthetics to evaluate the solutions found. As Christian educators, we should realize that God gives common grace and we should always be open to learning from the best results of secular research, filtered through the worldview shaped by our faith. Throughout history, Christians have often been at the forefront of recognizing the importance of aesthetics. God gave us our ability to appreciate beauty and patterns for a reason, and what is math if not the study of patterns (Hardy, 1940)? We Christians should be among the first to recognize the importance of educating the whole child, even in mathematics, and embracing research showing the importance of allowing aesthetics to have a deep role in education, including our mathematics instruction. Even more importantly, we should be careful not to make a sharp dichotomy between “secular” knowledge and “spiritual” knowledge. Mathematics is often taught as if our faith had nothing to do with the knowledge we are learning. Though it is wrong to artificially “spiritualize” every lesson, at the very least Christian students should understand the relationship between their faith and their studies. One way to do this is to let students know that math is not just a series of arbitrary algorithms and heuristics to be memorized, but a rich, creative, beautiful subject to be explored and appreciated. And when students see some of the beauty of the subject, we can lead them to reflect on the Source of that beauty. Indeed, we are doing a great disservice to Christian students if we lead them to believe that a subject that is in the mind of God is somehow boring or ugly. I have to admit I am distressed sometimes by certain popular views of mathematics. I remember reading one author who wrote that mathematics was part of Creation, and as such, the author seemed to believe mathematics was purely arbitrary, as if there were no special reason God created 2 + 2 to be 4. I often come across this idea that math is not understandable, a result of learning by rote. All we can supposedly do is grit our teeth and memorize the mysterious methods. This author’s solution was to teach students to plug away at exercises and learn to praise God every time they correctly found God’s answer, and be thankful that God, in his faithfulness, had not changed the answer in the meantime. I fear that such instruction will not generate praise for God but rather fear of mathematics. My hope is that we can learn instead how to teach that mathematics is a deep, joyful, meaningful, beautiful subject. It is a reflection of God’s nature. For Christians, mathematical aesthetics must not be an optional extra-credit topic, but must rather be at the very foundation of our mathematics teaching. As Christian educators, aesthetics should guide our understanding of mathematics, inform the way we teach, and be a goal for our students’ learning—and this from the youngest ages. Just as students learn to appreciate poetry or music, Christian students should learn that mathematics is beautiful, and why. Burton, L. (1999). The practice of mathematicians: What do they tell us about coming to know mathematics? Educational Studies in Mathematics, 37(2), 121-143. Eberle, R. S. (2014). The role of children’s mathematical aesthetics: The case of tessellations. The Journal of Mathematical Behavior, 35, 129-143. Hardy, G. H. (1940). A mathematician’s apology (1967 with Foreword by C. P. Snow ed.). Cambridge, UK: Cambridge University Press. Kline, M. (1964). Mathematics in Western Culture (Electronic version ed.). New York: Oxford University Press. Lakoff, G., & Núñez, R. E. (2000). Where mathematics comes from: How the embodied mind brings mathematics into being. New York: Basic Books. Root-Bernstein, R. S. (2002). Aesthetic cognition. International Studies in the Philosophy of Science, 16(1), 61-77. Sinclair, N. (2006). Mathematics and beauty: Aesthetic approaches to teaching children. New York: Teachers College Press. Sinclair, N. (2008). Attending to the aesthetic in the mathematics classroom. For the Learning of Mathematics, 28(1), 29-35. Spencer, J. (2001). Opinion. Notices of the AMS, 48(2), 165. Wells, D. (1990). Are these the most beautiful? The Mathematical Intelligencer, 12(3), 37-41. Wigner, E. (1960). The unreasonable effectiveness of mathematics in the natural sciences. Communications in Pure and Applied Mathematics, 13(1).